Hi my name is George and I am the owner of Deluxe Camper Trailers. Deluxe Campers started operations in 1991 as I could see camper trailers were becoming a popular product quickly being taken up by the public. 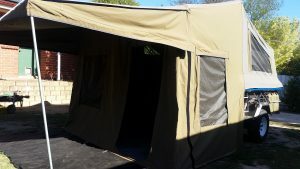 My aim is to provide quality camper trailers so that everyone can enjoy a camping holiday. Australians have always had a strong camping/travelling culture and having a camper trailer gives people the option of somewhere to sleep off the ground. It also allows you to take the necessities without overloading the car yet still being relatively lightweight to tow versus say a caravan. However, how often can we get away and does it justify buying a camper, especially nowadays when a unit can cost anywhere from $15,000 through to $60,000 plus. Then for 11 months of the year it sits around doing nothing except being a conversation piece. Therefore hiring a camper presents itself as a practical and cost effective option. At Deluxe Campers we have always strived to manufacture a solid, practical camper that virtually anyone can set up with a minimum of fuss. Our off road campers can be taken anywhere. Both our off road and safari trailers give a good size room area, and can accommodate a family or just a couple and yet still be capable of carrying the necessities of fuel and water when getting away from it all. After 27 years of operation we are still here hiring our base double camper design which still amazes people with it’s ease of operation. The simplicity proving that sometimes the basics are just the best and gives people the most memorable experiences. 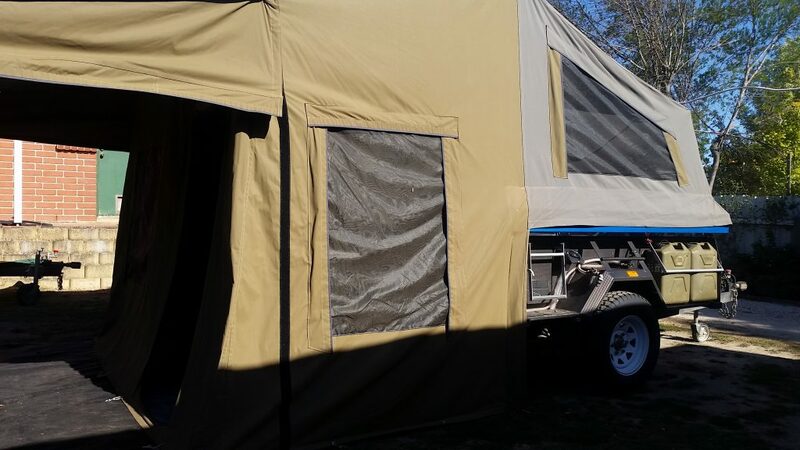 We use Australian steel, aluminium, canvas, timbers, and mattresses in our product which gives us confidence in the camper’s performance and comfort.